The sights and sounds of springtime on farm have arrived. Sand hill cranes have returned to live in our cattle pastures. Geese are visiting the pond on their way back home. 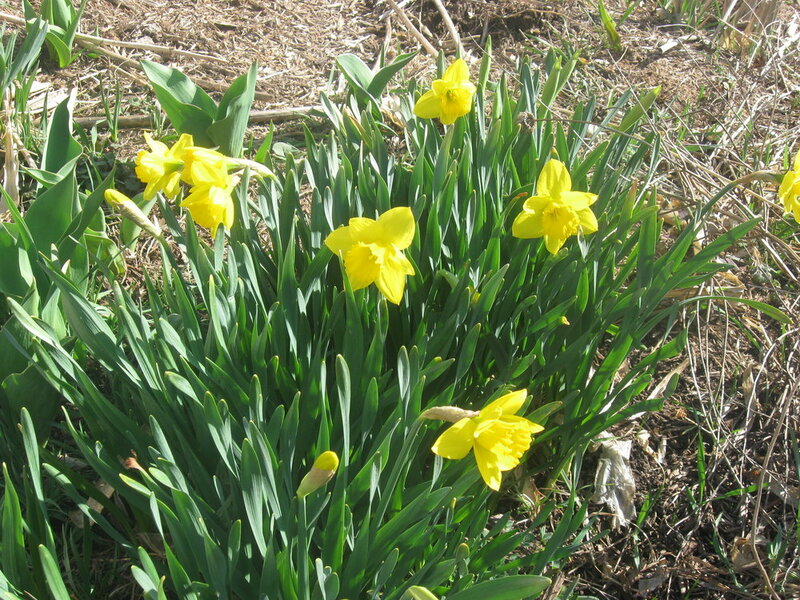 Crocus are just peeking through and dafodils are shooting up their leaves. Even the frogs have been heard singing from the creek! But there are patches of snow lingering on - especially the view from the south end of our dairy barn. My father in law always said to expect one more snowfall until that last snow patch facing the north disappeared. So for now we trudge through the mud until the warm spring rains firm up the ground. And although we enjoy the warm sunny days we have had, we know winter likely is not entirely gone just yet!